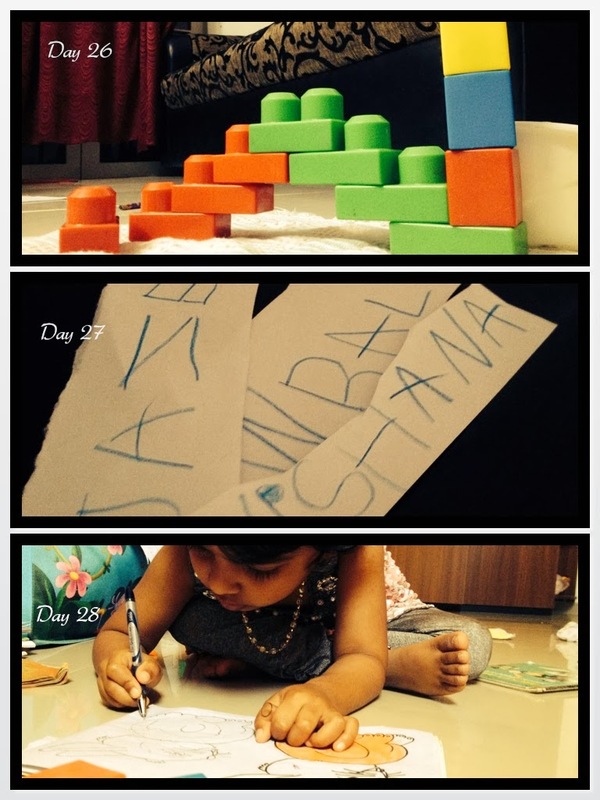 Day 26: Landon Bridge - constructed by Liya. 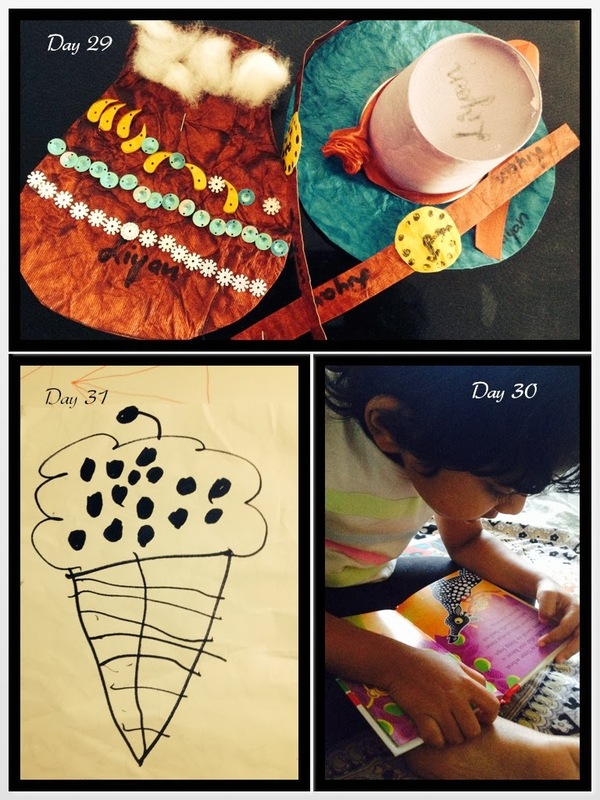 How nice it's to watch the little bees' creative thoughts! Day 28: Little one in action. So involved and curious!! Day 29: Created by L from school. Send home today. She was so proud about these. Day 30: Trying to read on her own. Totally immersed in a new book which came home today. 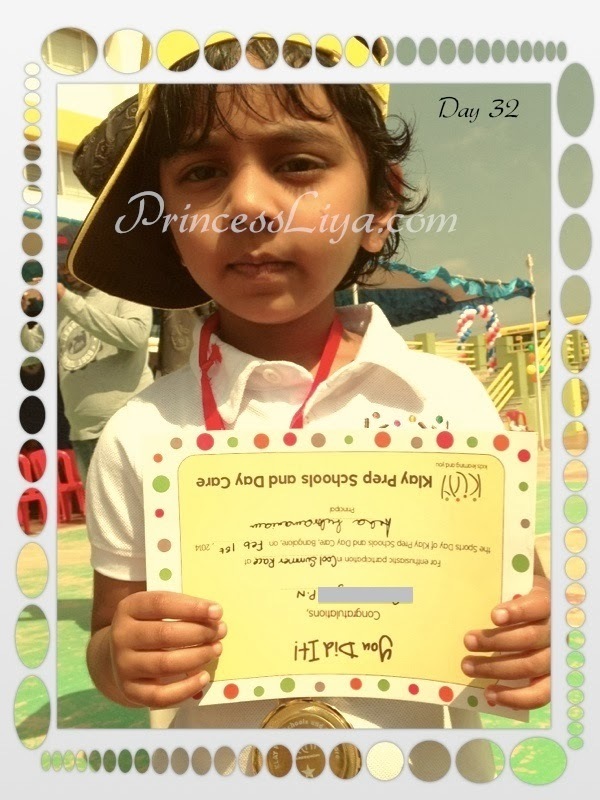 Day 32: We were at Annual Sport Day and see what we grabbed- a medal and a certificate! Everyone got it and so did we! I am so happy to read about your activities. Reading, writing and playing sports is so awesome.